Welcome to Marquis Mediation, LLC! We help our clients avoid the enormous costs of litigation and conflict through our litigation-avoidance and conflict resolution consulting, training, and mediation services. Marquis Mediation, LLC works to increase our clients’ profitability, productivity, and bottom-line to reduce the high costs of conflict, resolve disputes, and manage litigation risk exposure. Our conflict resolution training, mediation, and consulting services decrease conflict and systemic team problems, enhance team performance, boost staff morale, improve communication, and build leader competency in managing conflict and fostering constructive behavior. At the same time, we work to strengthen relationships between all parties in conflict. 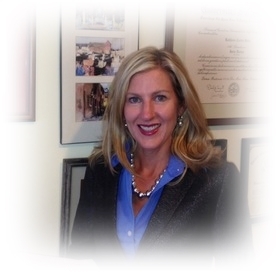 Attorney Kathleen (Kat) Marquis uses practical experience and training to effectively resolve disputes when mediating. Her knowledge of the law, court processes, and mediation skills, help bring an efficient and collaborative approach to resolving even the most complicated disputes. Kat has learned and practiced the art of conflict prevention and resolution throughout her legal career. Her legal and subject matter expertise helps move parties towards settlement. In her role as a neutral, she listens to parties and helps facilitate lasting agreements while preserving relationships and resources. Her education in the field of psychology, law, and dispute resolution is central to helping parties and counsel successfully resolve conflict. Marquis Mediation, LLC has a proven track record of designing and delivering highly effective and relevant learning and training programs for business professionals. As a provider for Real Estate Commissions of Maine and New Hampshire, the Bar Association in the State of New Hampshire, and a course provider approved by the Community Association Managers International Certification Board (CAMICB), Attorney Marquis conducts Continuing Education (CEU & CLE-accredited) training classes on Litigation Avoidance, Conflict Resolution, Negotiation, core Mediation Skills and other topics. Our more than twenty-five certified training classes have produced measurable and considerable results furthering our clients’ business objectives and thereby generating substantial and swift returns on training investment. Marquis Mediation, LLC can bring the right dispute resolution services to your business today. Our business is making yours Conflict-Free! You can view Kat’s credentials here. You can e-mail Kat by clicking here. Kat can be reached at 740.815.8687.